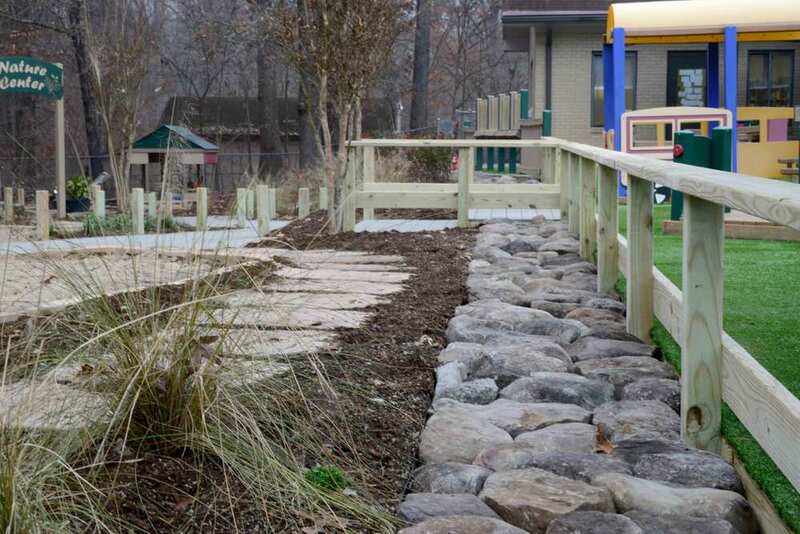 The Winston Salem Montessori School’s Toddler Outdoor Learning Environment (OLE) provides challenges and learning opportunities for the school’s youngest class. 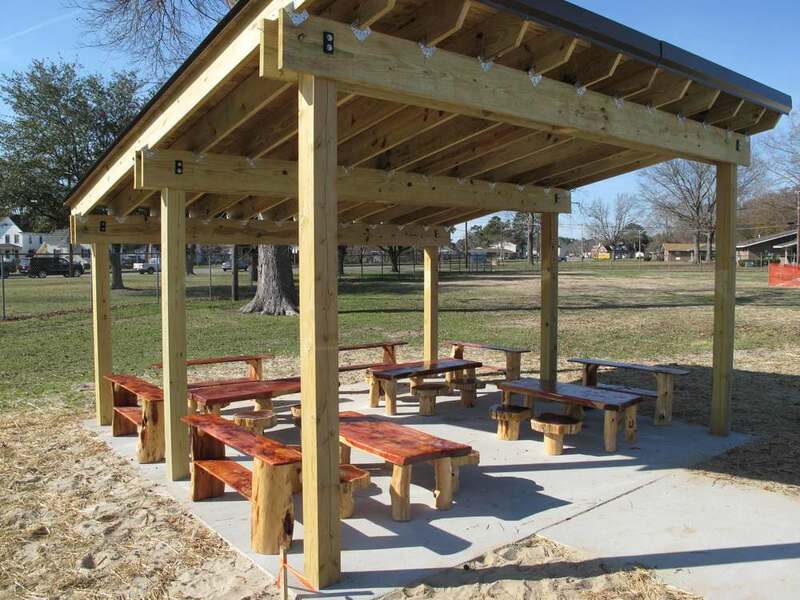 The overall goals of the design were developed by the Natural Learning Initiative as part of a masterplanning and visioning process. The Toddler OLE design is based on best practices for early childhood outdoor environments, this is no ordinary “playground”. It is a fully equipped landscape for learning and play. The design of the space integrates lush plantings and features with cognitive and motor skill development goals. Children using this space have opportunities to ride trikes on the looping path, run up and down a mini-hill, play in the sand, climb around forts, slide down a slide, and explore plantings that attract interesting bugs and butterflies. We are pleased to have improved the everyday lives of the children using this wonderful space.